Are you inundated with zucchini from the garden? Tired of making zucchini bread? Yeah, we thought so (we are too). Then we've got another question for you: Do you like pizza? Do your kids? If the answer is "yes," we’ve got a recipe you're going to want to try. It's simple, really. Mix shredded drained zucchini with eggs and cheese. Spread it into a casserole dish and bake it for a while. Then top it with all of your favorite pizza toppings. Voila! 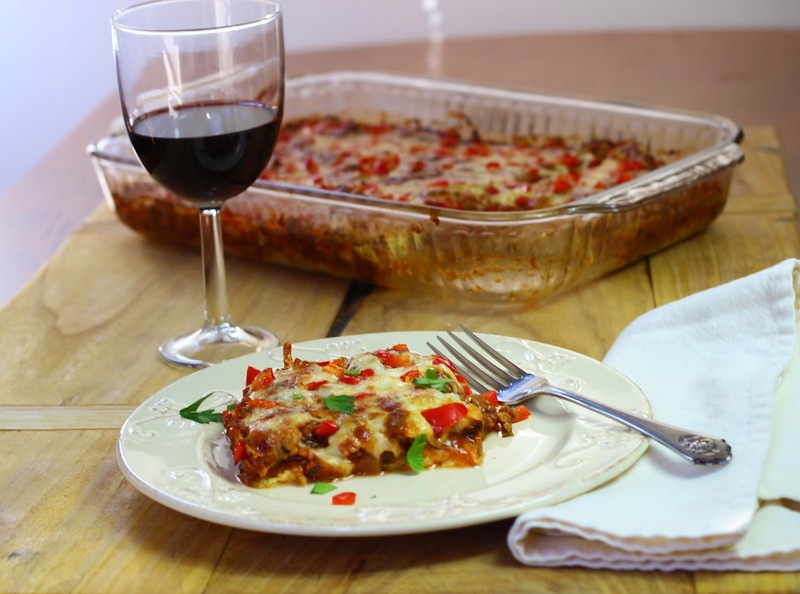 This casserole combines everything that’s great about pizza with a vegetable-laden crust that tastes fantastic. We got the idea from an old trick Lo's mom used to do with leftover macaroni and cheese. She'd mix it with a couple of eggs, spread it into a baking pan and prebake it. Then she'd add tomato sauce and pizza toppings. As kids, we loved it. As an adult, I've occasionally remade the recipe just to relive the nostalgia. But, I've also started looking for other ways to achieve similar results. This concept is similar -- but it sneaks in some extra vegetables. 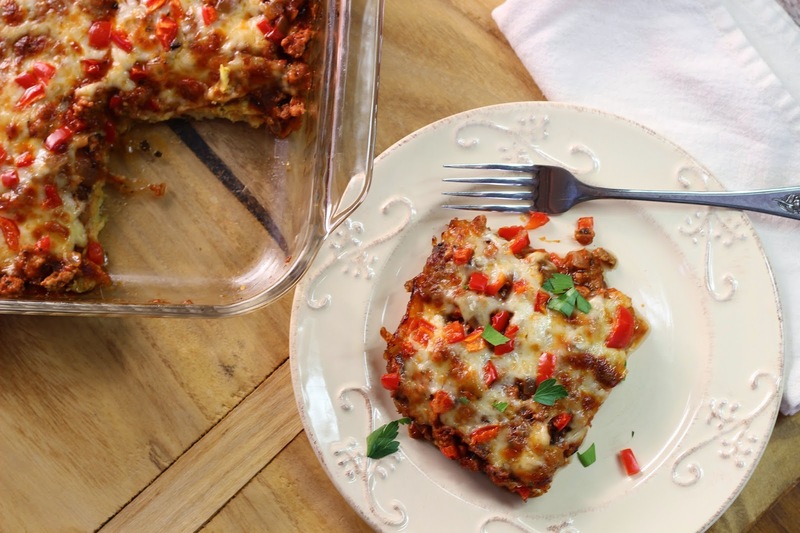 So, if you're a mom with picky kids, this recipe might just be something you want to tuck into your repertoire. We'd be delighted to hear what your kids think. Because my garden is literally bursting with produce, and whatever I don't have already at home, I can easily procure from the farmer's market. It's a cook's dream! Of course, if you know me, you'll also know that I'm a big fan of the cooler weather that comes in September and October. So, that's just an added bonus. The fact is, when the dog days of summer give way to a bountiful harvest that includes succulent, garden-fresh tomatoes, it’s time for BLT’s, caprese salads and panzanella. And we've eaten our fill of all of those things this year. But, it’s also the perfect time to make delicious savory pie! 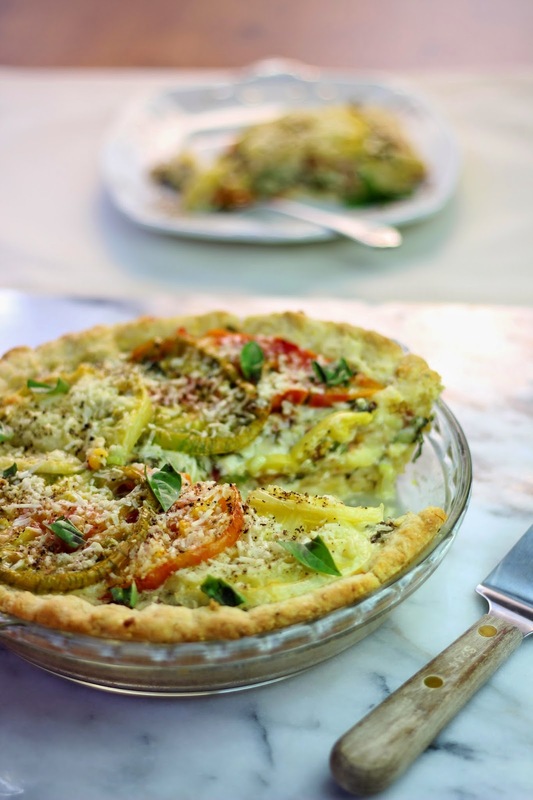 This delicious summer pie contains layers of colorful tomatoes along with flavorful herbs, smoky bacon and plenty of cheese. 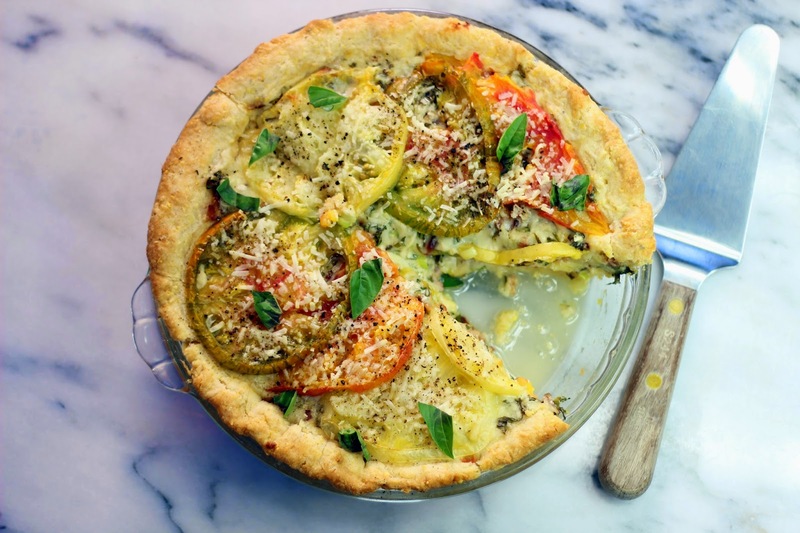 While you can make this pie with any type of tomato, using a variety (from cherry tomatoes, to yellow, orange and green) increases the complexity of the flavor in the dish. It also makes the pie even more beautiful to behold. Just check out all those awesome colors in this pie, which we made with a combination of heirloom tomatoes including Black Krim, Brandywine and German Stripes. But, that's not the only thing that sets this pie apart. Another thing is the crust. Rather than using regular old pie crust, we use a buttery cornmeal biscuit crust that gives the dish an almost deep-dish pizza-like quality. This pie is delicious for dinner, but it almost makes a perfect light summer lunch or brunch.